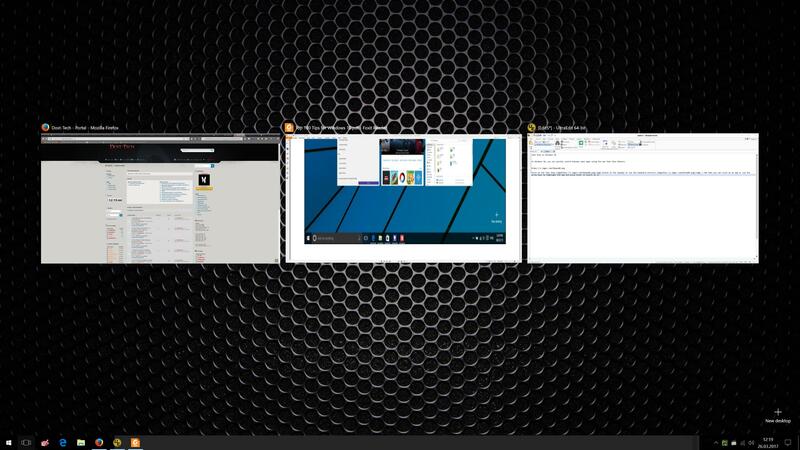 In Windows 10, you can quickly switch between open apps using the new Task View feature. Click on the Task View button on the Taskbar or use the keyboard shortcut + Tab then you can click on an app or use the arrow keys to highlight the app and press Enter to switch to it. You can also hide the Task View button and make all the Taskbar buttons smaller. To hide the Task View button, right-click on an empty area of the Taskbar and deselect the Show Task View button option.